Unable to come to terms with the death of his girlfriend Cha-kyeong (차경, Han Ye-ri (한예리), physiotherapist Hyeok-geun (혁근, Lee Hee-joon (이희준) develops insomnia. Unable to work or function properly his life begins to fall apart, while his mental stability becomes strained due to hallucinations. His grief and sense of guilt are also shared by Gi-ok (기옥, Lee Yeong-jin (이영진), Cha-kyeong’s best friend, who simultaneously hates herself for her involvement in the accident and also for secretly coveting Hyeok-geun. As their grief becomes ever greater, and reality and fantasy become difficult to separate, Gi-ok and Hyeok-geun must learn to overcome their emotional trauma lest it consumes them. 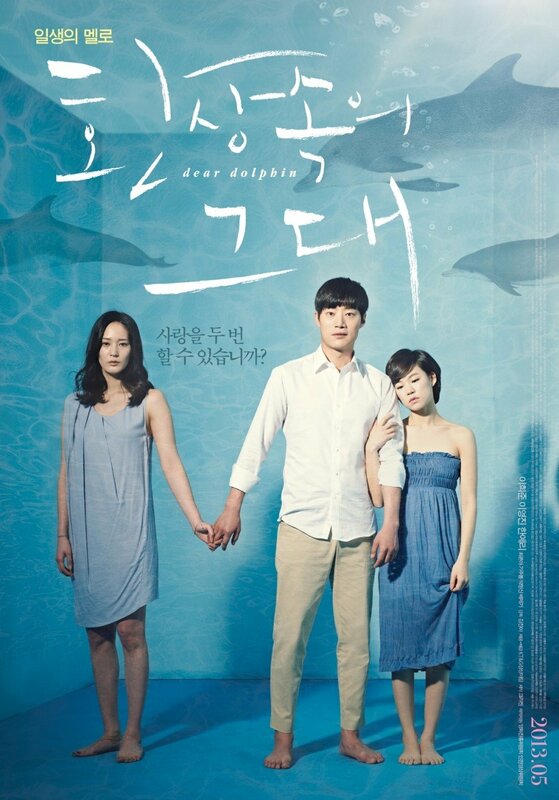 One of the big winners at JIFF 2013, Dear Dolphin (환상속의 그대) is a very attractive film that deals with the issues of love, loss, and grief. Director Kang Jina (강진아) explores such weighty topics well by constructing the fragility of each protagonist as unique according to their psychology, but the decision to employ non-linear techniques dilutes the emotional intensity of the story. 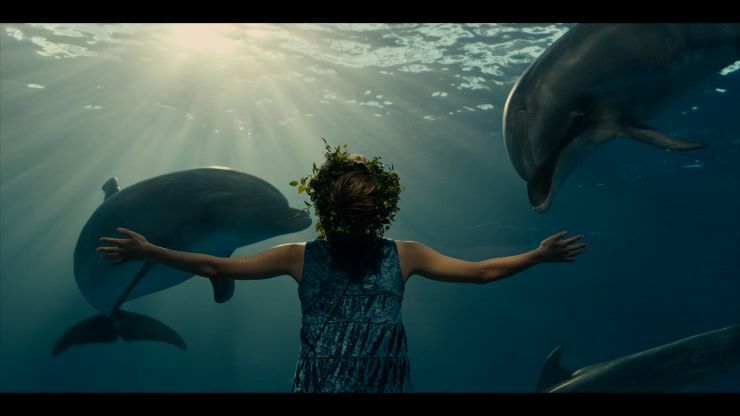 Yet with a great performance by Lee Yeong-jin (이영진), as well as some truly beautiful sequences involving potent water symbolism, Dear Dolphin is a thought-provoking film on the nature of life, death, and spirituality.